FORRESTER, THOMAS, soldier, merchant, and politician; baptized 30 Aug. 1790 in Halifax, son of Alexander Forrester and Mary – ; d. there 15 Nov. 1841. Material success did not, however, make Forrester a satisfied man. The post-war years also established him as an irascible trouble-maker. His letters to newspapers alleging an insurance fraud by certain leading local merchants resulted in 1825 in a conviction for libel and a fine of £100. Five years later, after a number of other clashes with the local gentry, Forrester consolidated his reputation by complaining that Halifax lawyers, judges, and officials had conspired to deny him justice in a debt action he had brought against a British army officer. Convinced that he had been victimized, Forrester petitioned Lieutenant Governor Sir Peregrine Maitland* for redress, and when rebuffed wrote directly to the Colonial Office, demanding vengeance. In the words of a contemporary, these were the actions of a man both “headstrong and intractable.” An outraged Maitland described Forrester as “one of those unfortunate persons who just approach the verge of insanity without being sufficiently disordered to have the protection which declared lunatics enjoy.” The attitude of local moneyed interests toward Forrester was demonstrated in 1832 when they decisively rejected his bid for election to the directorate of the Bank of Nova Scotia. Forrester’s troubles reflected the difficulty a non-conforming outsider faced in attempting to penetrate the ranks of the Halifax oligarchy. An absence of deference on his part ensured that he would be excluded from public office and official patronage, a situation that could only aggravate his antagonism toward those in authority. What transformed personal grievance into public cause was the eruption of political protest across Nova Scotia during the 1830s. Forrester’s first involvement with public affairs came during the “Brandy Election” of 1830 when he backed Beamish Murdoch* in his unsuccessful attempt in Halifax Township to defeat the candidate of the oligarchy, Stephen Wastie Deblois. Over the next few years, Forrester became a stock figure at meetings called to protest high official salaries, devaluation of the province’s paper money, and related issues. 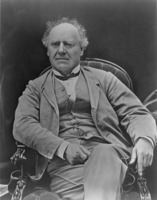 After Joseph Howe* won acquittal in his famous 1835 trial for criminal libel, Forrester was one of the first to rally to him, seeing him as leader of an emerging reform movement. In 1836 the two stood on the reform ticket for election to the assembly and won, Forrester topping the poll in Halifax Township. Within the assembly, Forrester quickly emerged as a member of the radical wing of the amorphous reform caucus. By now Forrester was completely alienated from the moderate reformers. 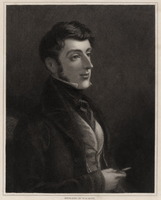 Howe had entered the coalition set up in 1840 under Lieutenant Governor Lord Falkland [Cary*] on the initiative of Governor Charles Edward Poulett Thomson but Forrester withheld his support, arguing that the new administration involved too many compromises. His militancy may in part have stemmed from resentment over having been snubbed during negotiations leading up to the establishment of the coalition. Forrester’s exclusion derived from his reputation for being irascible and erratic. 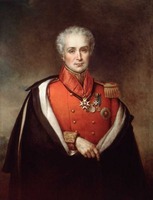 Many remembered his behaviour during the financial crisis of 1837. When the panic had spread from Britain to Nova Scotia, the Halifax banks, alarmed by the prospect of runs on their cash reserves, had suspended the redemption of paper for metal. Merchants endorsed the decision but shopkeepers protested that they could not function without coinage. Possibly acting out of spite, Forrester came to the aid of Halifax retailers by launching a series of lawsuits against the Bank of Nova Scotia, claiming that its charter barred it from refusing to redeem in specie. The panic passed and payments resumed before the suits could be adjudicated, but Forrester’s championing of the common man convinced respectable society that he could not be trusted with power. Halifax County Court of Probate (Halifax), Estate papers, nos.1138–39 (mfm. at PANS). PANS, RG 1, 312, nos.63, 86; RG 32, 142, 25 Feb. 1813; RG 35A, 1–3. PRO, CO 217/151: 110; 217/152: 83 et seq. ; 217/153: 227. N.S., House of Assembly, Journal and proc., 1838, app.75. Acadian Recorder, 29 Jan. 1825; 18 Sept. 1830; 5 Nov. 1836; 24 July 1837; 27 March, 12 June 1841. Halifax Journal, 20 Feb. 1837. Novascotian, 7, 28 June 1832; 23 Jan., 29 Dec. 1834; 11 June, 10–26 Nov. 1835; 8 Dec. 1836; 20 April 1837; 8 March 1838; 17 Oct. 1839; 9 April, 12 Nov. 1840; 18 Feb., 11 March, 29 April, 18 Nov. 1841. Times (Halifax), 16 Feb. 1841, 26 July 1842. Weekly Chronicle (Halifax), 21–28 Jan. 1825. Belcher’s farmer’s almanack, 1841. Directory of N.S. MLAs. History of the Bank of Nova Scotia, 1832–1900; together with copies of annual statements ([Toronto, 1900]). David A. Sutherland, “FORRESTER, THOMAS,” in Dictionary of Canadian Biography, vol. 7, University of Toronto/Université Laval, 2003–, accessed April 25, 2019, http://www.biographi.ca/en/bio/forrester_thomas_7E.html.